Five Mariners players had their big league contracts expire, while two others -- Hisashi Iwakuma and Yovani Gallardo -- didn't have club options exercised. With the Houston Astros winning the World Series on Wednesday night the Major League Baseball offseason officially began Thursday morning with the free-agency period. The Mariners have seven players from their active roster that are free agents. Two players with club options for 2018 won’t be exercised for next season the Mariners announced. Per baseball’s collective-bargaining agreement, the Mariners can negotiate with their free agents without another team inserting itself until 2 p.m. Pacific time on Nov. 6. After that deadline, free agents are allowed to sign with any team. Seattle will consider bringing back Alonso, who was acquired in August from the Oakland A’s in a trade. General manager Jerry Dipoto mentioned as much during his postseason news conference. Alonso, 30, had the best season of his seven-year major-league career, hitting .266 with an .866 on-base plus slugging percentage with 22 doubles, 28 homers and 67 RBI in 142 games with Oakland and Seattle. Lucas Duda (Rays/Mets), Mitch Moreland (Red Sox), Logan Morrison (Rays) are a few other outside, cheaper possibilities that the Mariners might consider on a one-year contract. The top free agent — Eric Hosmer — is probably out of Seattle’s price range. Dyson, 33, will be a free agent for the first time in his career and is looking for a legitimate contract in what will be his best and possibly only opportunity to get a multi-year deal (two years with an option seems like his best chance). The Mariners would like to bring Dyson back, particularly with the uncertainty surrounding Guillermo Heredia’s offseason shoulder surgery. But they seem unlikely to over-spend for an outfielder in his 30s. Though the Mariners don’t specifically have a backup catcher, they aren’t expected to bring Ruiz back immediately. But he might be a consideration later in the offseason. Ruiz likely will try to find a team that can give him more playing time. He played sparingly with Mike Zunino’s breakout season. The well-traveled Valencia put up decent numbers, hitting .256 with a .725 OPS, 19 doubles, 15 homers and 66 RBI, but it became apparent that he couldn’t be an everyday player. A platoon player for much of his career, the Mariners were forced to try Valencia in a full-time role after platoon partner Vogelbach flamed out in spring training. It didn’t work. Valencia posted a .693 OPS vs. right-handers with 91 strikeouts in 325 at-bats. 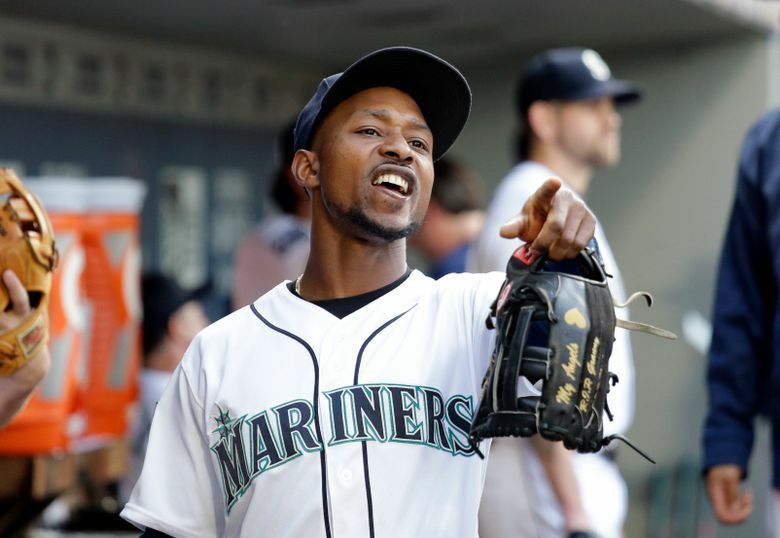 Given his role as a platoon player, it seems unlikely the Mariners bring back Valencia. Beckham, a veteran big-leaguer, was signed to a minor-league deal and spent most of the season with Class AAA Tacoma before being called up in September. As for Iwakuma and Gallardo, the Mariners’ decision not to bring them back, well, that was just common baseball logic and business acumen. Iwakuma had a $15 million club option that vested automatically if he reached 162 innings in 2017 or 324 innings combined between 2016-17. A shoulder injury limited him to six starts and 31 innings this season, and he had surgery in late September. The Mariners wisely chose not to exercise the option after it didn’t vest. They will have to pay Iwakuma a $1 million buyout. Gallardo was acquired from the Orioles in the offseason for outfielder Seth Smith. Slated as the No. 5 starter, Gallardo was the only member of the projected rotation not to spend a stint on the disabled list. However, he was largely ineffective despite a return of his velocity, posting a 5-10 record and 5.72 ERA in 22 starts and six relief appearances. He twice pitched himself out of the starting rotation. Gallardo has a $13 million club option for 2018, which the Mariners would not pay under any circumstance, including being forced by law. They instead will pay a $2 million buyout. With the open spots on the 40-man roster, the Mariners reinstated pitchers Drew Smyly and David Phelps from the 60-day disabled list. The Mariners’ 40-man roster is at 34. Here’s the full list of free agents from the MLB Player’s Association — 149 total.